Just six players entered the final day of Event #3: $1,000 Pot-Limit Omaha, and Brandon Shack-Harris emerged from the short-handed sit-and-go to lift the bracelet and claim the $205,634 first-place prize. 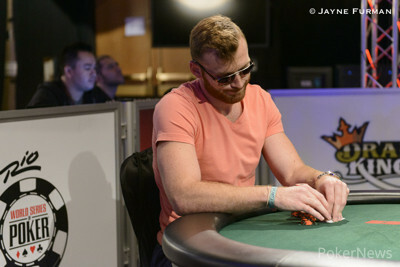 To get there, the Chicago native had to contend with some heavy hitters, including two-time bracelet winner Steve "MrSmokey1" Billirakis, who entered the day with a sizable chip lead. He ended up busting fourth after being unable to get anything going today. Another notable bowing out today was ANZ Player of the Year Iori Yogo. The Japanese player kept it pretty snug today until he busted in third shortly after three-betting a button raise, only to have eventual runner-up Morgan Popham wake up with a dominating hand behind him. Shack-Harris had to get lucky on the last hand, as he got it in with only to see Popham turn over the for the cooler. Shack-Harris flopped nothing, but he managed to backdoor a broadway straight to secure the title. 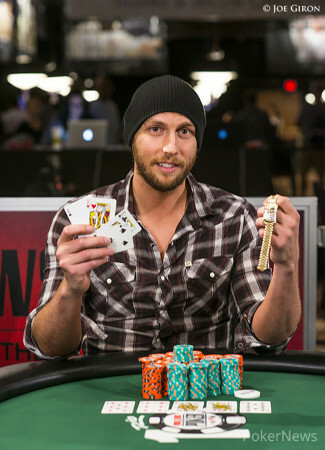 In total, Shack-Harris outlasted a record-setting field of 1,128 runners to claim his first bracelet. He more than doubled his career live tournament winnings ($141,980), and some of that money will surely find its way onto the mixed-game tables that Shack-Harris is best known for playing. Thanks for tuning in to coverage of Event #3 here at PokerNews. Hand 147: Morgan Popham got a walk. Hand 148: Brandon Shack-Harris got a walk. Hand 149: Shack-Harris raised to 80,000, and Popham potted to 240,000. Shack-Harris repotted to 720,000, and Popham shoved all in for 935,000 total. Shack-Harris called. Popham was in great shape with aces, even covering Shack-Harris' dangler. The flop was clean: . A turn brought a straight draw for Shack-Harris, but Popham held a blocker. Nonetheless, the peeled off, giving Shack-Harris a straight and the bracelet. Looking to purchase an iPad? No need! 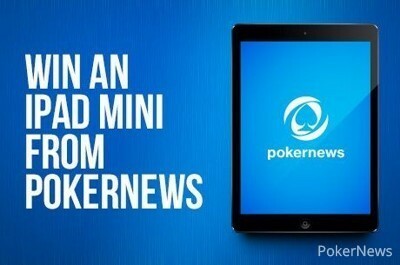 PokerNews is giving away one Apple iPad Mini completely free! Entry is simple. For your chance to win this amazing prize all you have to do is share the contest on Twitter and Facebook via LockerDome. You can also earn entry by following PokerNews on Twitter and LockerDome, and liking us on Facebook. Earn an extra point by simply answering the poll question, “Which player will win the WSOP Main Event?” It’s an open question so there is no right or wrong answer. The sweepstakes opened Monday, May 26 at 7 a.m. EDT and ends Thursday, June 26 at 7 p.m. EDT. Readers from all over the globe are eligible to win. A winner will be announced and notified July 6. You can view the official rules on the contest posted on the PokerNews LockerDome page. Hand 146: Morgan Popham completed, and Brandon Shack-Harris checked. Shack-Harris bet 60,000 on the flop, and Popham came along. The meant Shack-Harris kept firing, 200,000 this time. Again, Popham called. Both players checked the , and Shack-Harris announced queen-nine. It was good, and he showed . The players are taking a five-minute bathroom break. Hand 142: A raise on the button from Morgan Popham was enough to win the big blind from Brandon Shack-Harris. Hand 143: Brandon Shack-Harris limped the button only to have Morgan Popham make it 90,000 with Shack-Harris making the call. 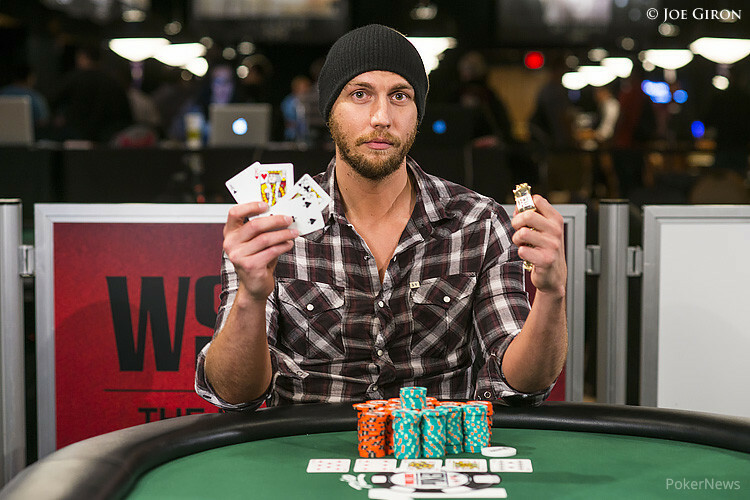 The flop fell and a bet of 120,000 from Shack-Harris was enough to see him win the pot. 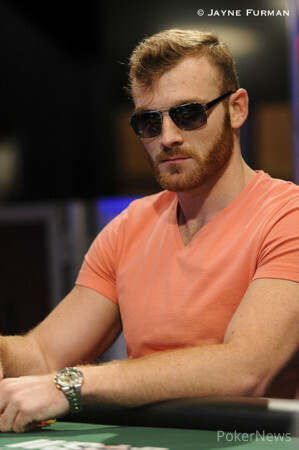 Hand 144: Brandon Shack-Harris received a walk in the big blind. Hand 145: Brandon Shack-Harris limped and Morgan Popham checked to see a flop fall. Popham led for 40,000 and Shack-Harris called as the landed on the turn. Both players checked and the river saw Popham bet out 105,000 to produce an insta-fold from Shack-Harris. Morgan Popham got paid with a straight. Hand 136: Brandon Shack-Harris received a walk. Hand 137: Shack-Harris raised to 60,000, and Morgan Popham defended. Both players checked the flop, leading to a turn. Popham fired 90,000 and was called. The finished the board out, and Popham bet 225,000. Shack-Harris thought for a bit before announcing a call. Popham turned over for a turned straight. Shack-Harris showed for a set before mucking his hand. Hand 138: Shack-Harris got a walk. Hand 139: Shack-Harris called, and Popham checked. Both players checked to the river, when the board read . Popham check-folded to 60,000 on the end. Hand 140: Popham min-raised and was quickly called. A wet flop hit the board, and Shack-Harris check-folded to 60,000. Hand 141: Shack-Harris raised to 60,000, and the two players saw an flop. Popham checked, Shack-Harris bet 60,000, and Popham called. A fourth heart, the , found the felt, and two checks ensued. The hit the river, and Popham bet 140,000 to take the pot.